PPG has released the schedule and opened registration for its third annual Force-Free Summit, taking place at the at the Sheraton Lake Buena Vista Resort in Orlando, Florida from Thursday, November 16 to Monday, November 20, 2017. 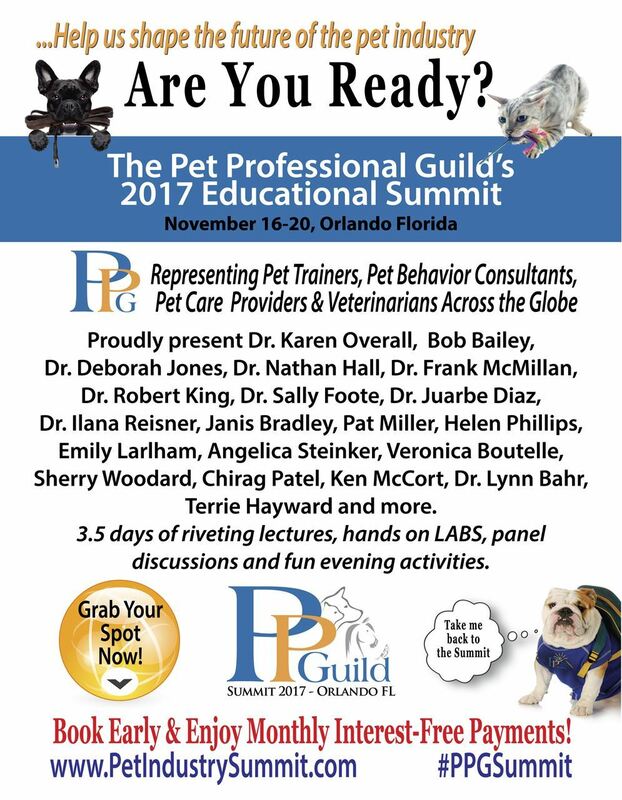 Registration is already open, and PPG is offering three value package options: the Great Dane, the Golden Retriever and the Border Terrier. Those registering for the all-inclusive Great Dane package can take advantage of an early bird special that offers a 10-month, interest-free financing plan. PPG has, meanwhile, negotiated competitive rates at the resort during the event, as well as three days before and afterwards.This year, PPG will be also using an event app, Zwoor, whereby registrants can track the development of the event, read speaker bios and session information, review the daily schedule, download presentation PDFs, and much more, making it a more interactive experience for all. We hope to see you there! 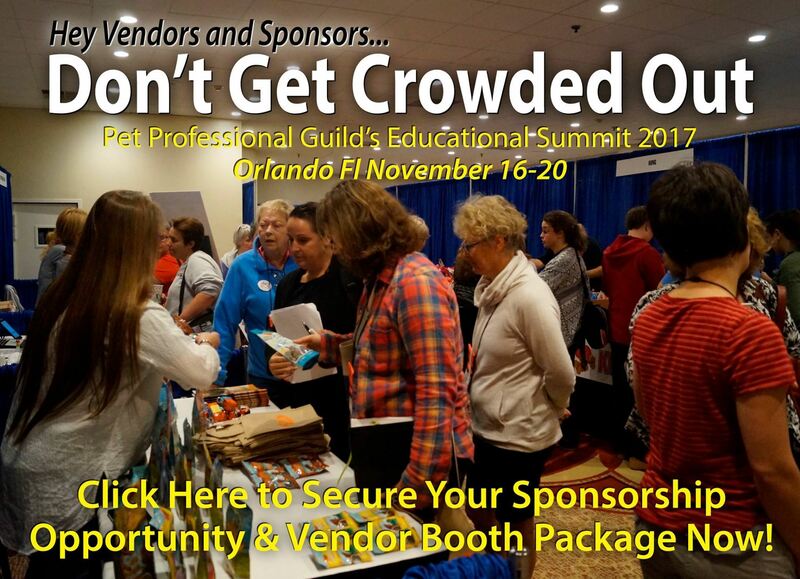 PPG is offering an array of vendor and sponsorship opportunities at the annual summit. If you'd like to target the right market with your product, service or branding, consider sponsoring the gala dinner, the official event T-shirt, the lanyard, the official summit guide, or a tea and coffee break. Or, for just $300, you can get your company's name in the spotlight with an insert into the official swag bag. Don't miss out on these fabulous opportunities! Apply here. 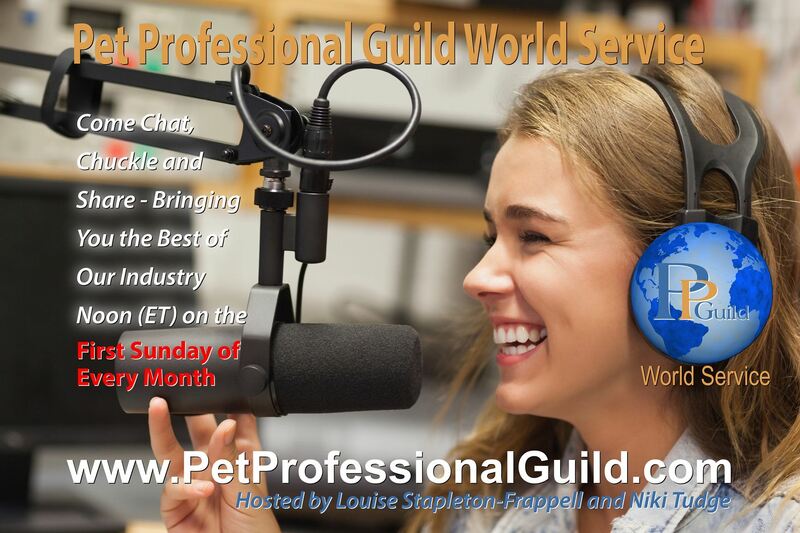 Remember too that BARKS from the Guild now features an Ask the Experts column hosted by dog*tec, whereby Veronica Boutelle and Gina Phairas will respond to PPG members’ questions. Topics may span such things as setting rates, policies, marketing, dealing with difficult clients, employee issues, networking, building your business, etc. Essentially it will cover anything business-related. If you have a question for the experts, please email it to the editor. 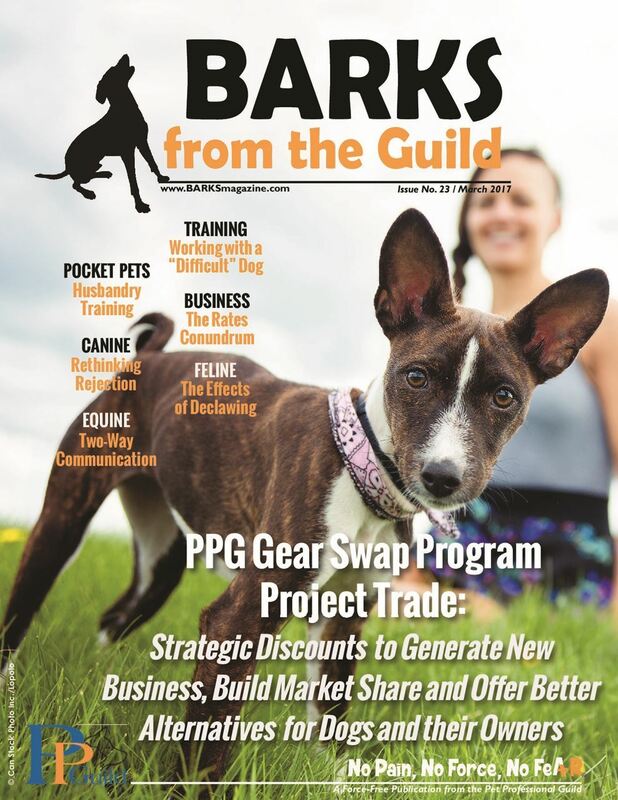 If you would like a printed copy of the March issue of PPG's trade publication BARKS from the Guild, please register here before Monday, February 27. The digital version will go live online on March 1. 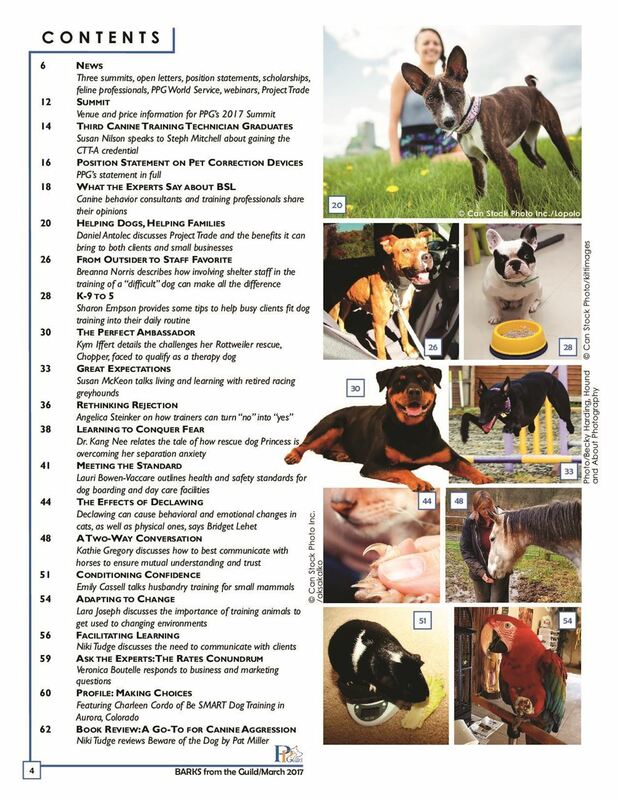 If you would like to write for BARKS, either as a regular contributor or have a one-off article you'd like to submit, please email the editor, Susan Nilson. Find back issues of BARKS and read any article, blog or press release, as well as a host of scientific studies/educational resources in the PPG Archive. 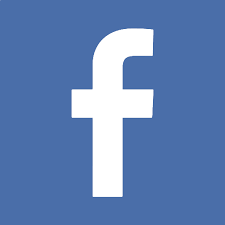 Join PPG All About Cats on Facebook to learn all about cat behavior and ask questions on anything feline related. Recent topics of discussion have included introducing a geriatric cat to a feeding toy and the continuing importance of mental and physical enrichment, feline body language, desensitizing a cat to the noise of the vacuum cleaner, and what to do when the family cat suddenly and unexpectedly lashes out at the resident baby. 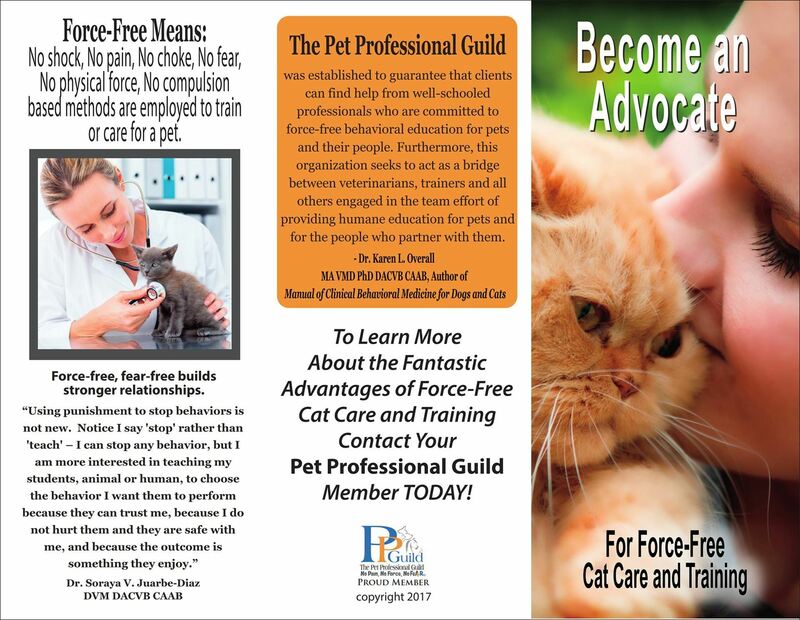 PPG has released new tri-folds especially for members involved with feline and equine behavior. They can be found in the member area of the PPG website. PPG’s rapidly expanding Cat Committee has welcomed Catherine McMillan to its ranks. McMillan’s is the assistant manager, intake and behavior department at the Winnipeg Humane Society in Manitoba, Canada. She is currently working through an advanced diploma in feline behavior management, and is Fear-Free and CPDT certified. 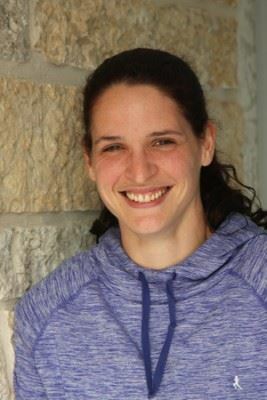 Her primary focus is temperament/behavior assessment for shelter animals, stress reduction techniques, and cat handling training for staff and volunteers. Contact the Cat Committee. Saturday, February 18 - Sunday, February 19, 2017: Two-day workshop, The Gift of a Gray Muzzle: Active Care for Senior Dogs, with Kathy Sdao and Lori Stevens. Saturday, March 18 - Sunday, March 19, 2017: Two-day workshop, Foundation Skills for Dog Sports & Heel Workshop 101, with Kamal Fernandez. DogNostics eLearning and Doggone Safe have sponsored a limited number of auditor and working places at these incredible events. Savings of up to $100 are available. Email Rebekah King to register. LIMITED SPOTS AVAILABLE! FIRST COME, FIRST SERVED! PPG is now hosting live chats in the PPG members' Facebook group. The most recent chat was on the topic of platform training. The next live chat takes place on Friday, March 3 at 4 p.m. EST. If you'd like to participate in the live chats - or just simply observe - they are announced in the PPG members' group and on social media. 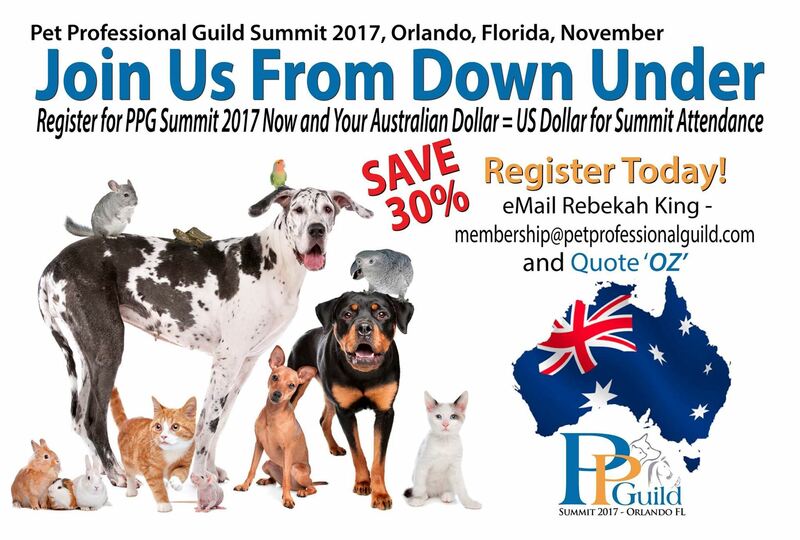 You will need to request to join the The Pet Professional Guild Members group on Facebook if you are not already in the group. All PPG members may join this group regardless of location. Email membership manager Rebekah King if you need further assistance. You can read all the past chats on the PPG members' group Facebook page. New PPG member 4 x 9 rack cards promoting +R training are now available in the member area of the website in the Graphical Artwork section. These are for you to download and print to promote the force-free message in your community. Are you interested in taking a comprehensive online force-free training course instructed by PPGBI membership manager and PPG steering committee member, Louise Stapleton-Frappell? Register now for this introductory sample of the Training Meister Program! The course is suitable for anyone starting out in reward-based, science-based, force-free training, as well as already established trainers who wish to improve their training mechanics and build on their knowledge. The course will teach you all about the science behind force-free training and how to effectively and skillfully teach new behaviors while having lots of fun. You will learn how to clearly communicate with your student in order to set them up for success, and how to eliminate as many 'errors' as possible from your training, thus enabling you to teach your dog or other companion animal in the most enjoyable, stress-free way. PPG is offering selected webinars at a discount this month (discount valid till February 28, 2017). Tristan Flynn: Assessing and working with reactive dogsand Breed Specific Legislation with reference to pet daycare. Glenn Pierce: Presenting Dogtown at Best FriendsAnimal Society in Kanab, Utah, site of PPG’s Training and Behavior Analysis Workshop, April 22-26, 2018. Listen to the Sunday, February 5, 2017 podcast featuring Lori Nanan and Kamal Fernandez.